British engineering giant Rolls-Royce will pay £671m to settle corruption cases with UK and US authorities. The UK's Serious Fraud Office (SFO) found conspiracy to corrupt or failure to prevent bribery by Rolls-Royce in China, India and other markets. The firm apologised "unreservedly" for the cases spanning nearly 25 years. A UK court ruled the aerospace firm would pay £497m plus costs to the SFO, which conducted its biggest ever investigation into the firm. The SFO revealed 12 counts of conspiracy to corrupt or failure to prevent bribery in seven countries - Indonesia, Thailand, India, Russia, Nigeria, China and Malaysia. Rolls-Royce said it would also pay $170m (£141m) to the US Justice Department, and a further $26m (£21.5m) to Brazilian regulators. Described by the judge as "a jewel in the UK's industrial crown", Rolls-Royce makes engines for military and civil planes, as well as for trains, ships, nuclear submarines and power stations. The firm's shares finished nearly 4.5% higher on the news of the settlements and the company's announcement that its 2016 profits would beat expectations. The agreement between the SFO and Rolls-Royce, approved by the court on Tuesday, is known as a deferred prosecution agreement (DPA). It is only the third such agreement that the SFO has struck since they were first introduced into UK law in 2014. They allow organisations to pay huge penalties, but avoid prosecution, if they freely confess to economic crimes such as fraud or bribery. The wrongdoing involved Rolls-Royce's "intermediaries", which are local companies that handle sales, distribution and maintenance in countries where the British firm does not have enough people on the ground. In Indonesia, senior Rolls-Royce employees agreed to pay $2.2m and give a Rolls-Royce Silver Spirit car to an intermediary. There was an "inference" that this money was a reward for the intermediary "showing favour" to Rolls-Royce in respect of a contract for Trent 700 engines, used in airplanes, the SFO said. In China, Rolls-Royce staff agreed to pay $5m to CES, a state-owned Chinese airline, while negotiating the sale of T700 engines. The SFO said some of the money was intended to pay for employees of the Chinese airline to attend a two-week MBA course at Columbia University, and enjoy "four-star accommodation and lavish extracurricular activities". In Thailand, Rolls-Royce agreed to pay $18.8m to regional intermediaries. Some of the money was for individuals who were "agents of the State of Thailand and employees of Thai Airways", the SFO said. These agents "were expected to act in Rolls-Royce's favour with respect to a purchase by Thai Airways of T800 engines". In India, the cases relate to a time when the use of intermediaries in connection with Indian government defence contracts was restricted by the Indian authorities. "The terms of some Rolls Royce defence contracts contained undertakings that intermediaries had not been used," the SFO said. But the company continued to use an intermediary and said the payments were for "general consultancy services" rather than commission. 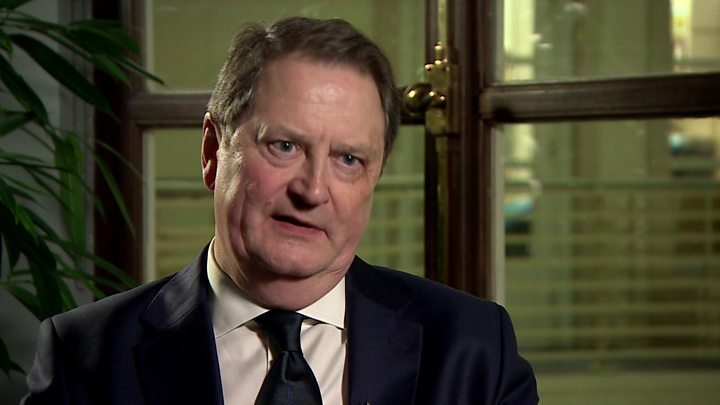 In its statement, Rolls-Royce chief executive Warren East said: "The behaviour uncovered in the course of the investigations by the Serious Fraud Office and other authorities is completely unacceptable and we apologise unreservedly for it. "The past practices that have been uncovered do not reflect the manner in which Rolls-Royce does business today. "We now conduct ourselves in a fundamentally different way. We have zero tolerance of business misconduct of any sort," he added. The company's lawyer, David Perry, told the court that it had undergone a "fundamental change" since the investigations began, overhauling systems, training, governance and ethics strategies. Who was responsible for the conduct which has tarnished the reputation of the UK's flagship engineering firm? Approving this agreement between the SFO and Rolls-Royce, Sir Brian Leveson, President of the Queen's bench division, stated that "the conduct involved senior (on the face of it, very senior) Rolls-Royce employees". Thirty eight employees have faced disciplinary proceedings. Eleven left the firm during the disciplinary process. Six were dismissed. Rolls-Royce has also reviewed 250 intermediary relationships across the company - 88 have now been suspended. The SFO says that investigations into individuals continue. But until those who undertook these corrupt activities - and crucially those at a high level who signed them off - are brought before the courts, many will ask whether justice really has been served. SFO director David Green said the £13m probe into Rolls-Royce was the biggest single investigation the office had carried out. "It allows Rolls-Royce to draw a line under conduct spanning seven countries, three decades and three sectors of its business," he said. "I think it shows very clearly that the SFO has teeth and that the SFO will not go away," Mr Green told the BBC. He added: "On a positive side from a company's point of view it shows that co-operation, genuine co-operation with a SFO investigation, pays." However, there are still questions about whether "justice has been served", said Robert Barrington, executive director at Transparency International UK. "Individuals haven't been held to account and the markets - when the share price has gone up today - are perhaps suggesting this isn't really a punishment or deterrent," Mr Barrington said. The SFO told the BBC it would consider prosecuting individuals in connection with the case now it had reached an agreement with the company.